Serena Williams and Alexis Ohanian Wed At A Star-Studded, French-ball Style Ceremony In New Orleans. Congratulations To The Lovely Couple. 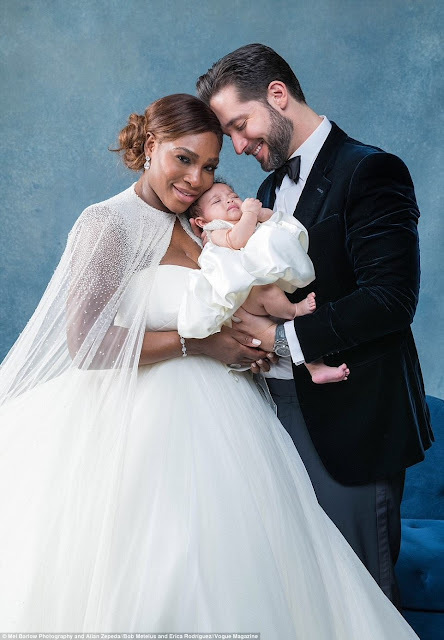 Serena Williams and Alexis Ohanian wed at a star-studded, French-ball style ceremony in New Orleans this week, with the bride opting for a custom Alexander McQueen ball gown to wear for her nuptials. Photos of the event taken exclusively by Vogue magazine show Williams looking radiant in the flowing, lacy white Alexander McQueen dress, which was crafted by head designer Sarah Burton.